Honey, I Blew Up the Kid. Fletch Lives. Weekend at Bernie’s II. 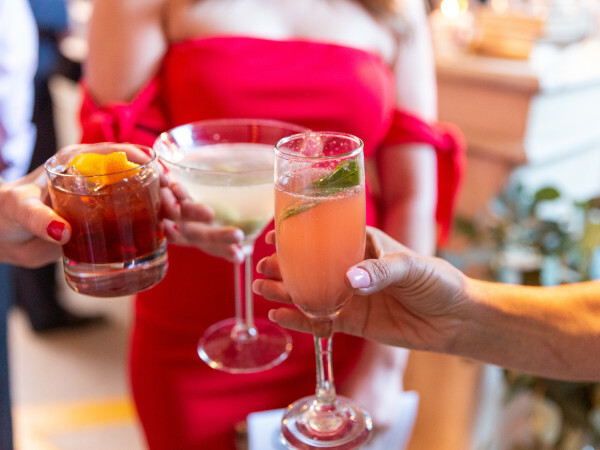 Sequels rarely live up to the original, but when a sequel brings (spoiler alert) more cocktails, more chefs, and more pork — plus the return of a festive New Orleans theme that flipped the script on local sip and strolls, we’ll gladly keep coming back. 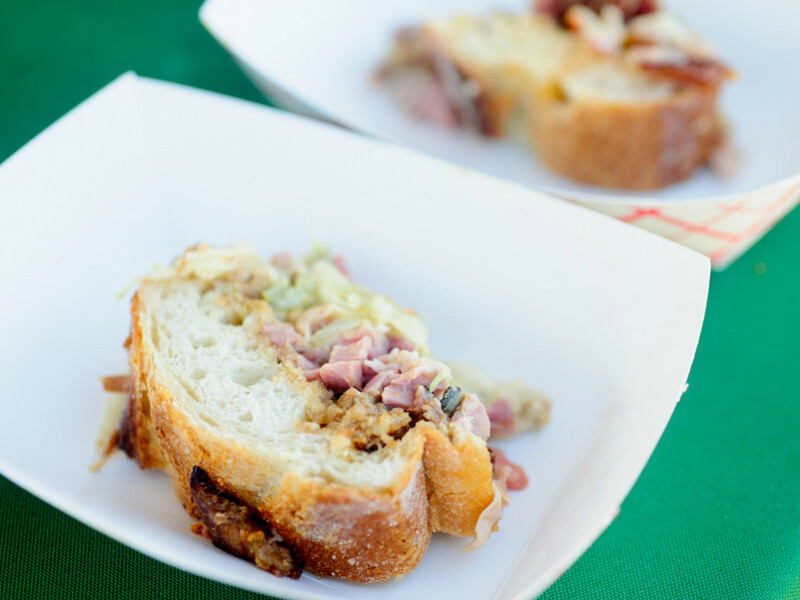 Austin Food and Wine Alliance’s annual Wine and Swine, the Empire Strikes Back of food parties, is returning November 19 with an all-star roster of participating chefs, libations from top bar talent, and Cajun music from Gulf Coast Playboys. The porktastic celebration has a new location this year, moving from Star Hill Ranch to Camp Mabry to allow for cheaper ride-share fares and greater accessibility. But the mission is still the same: to raise funds for AFWA’s culinary grants program promoting innovation and community development. 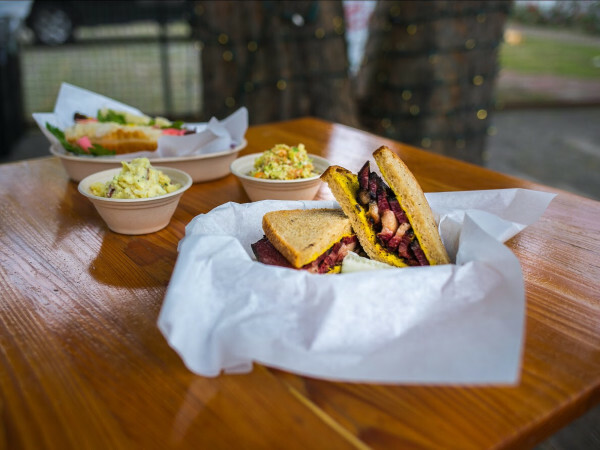 As usual, AFWA has enlisted some of Austin’s brightest stars to come up with pork-based dishes for the hungry crowd to sample. 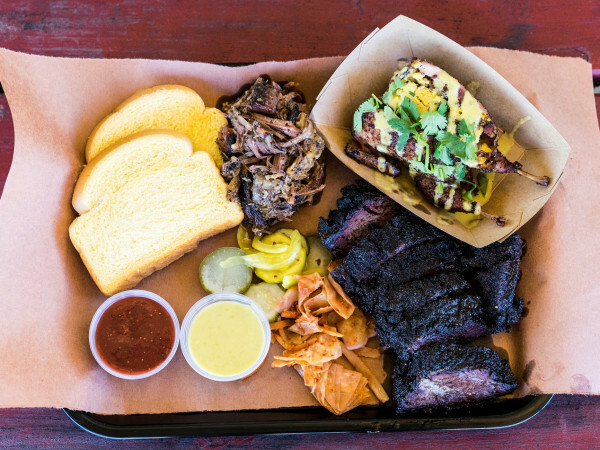 This year’s roster features hometown hero Aaron Franklin of Franklin Barbecue as well as three of San Antonio’s most lauded chefs — Steve McHugh of Cured, Pieter Sypesteyn of The Cookhouse, and Luis Colon of Bexar Pub. Also going hog wild will be chefs Jeff Martinez of Alcomar, Thomas Calhoun of Aviary Wine & Kitchen, Zach Hunter of The Brewer’s Table, Azhar Mohammad of The Carillon, Andrew Wiseheart of Chicon, Kendall Melton of Contigo, Nathan Lemley and Sarah Heard of Foreign & Domestic, Kevin Fink and Tavel Bristol-Joseph of Henbit & Honeybit, Todd Duplechan and Jessica Maher of Lenoir, Derek Salkin of Le Politique, Evan LeRoy of LeRoy & Lewis, John Bates of Noble Sandwich Co., Michael Fojtasek of Olamaie, Max Snyder of Pitchfork Pretty, Bob Williamson of Srsly Chocolate, Sterling Ridings of The Guild, Kristine Kittrell of WeatherUp, Joe Anguiano of Vox Table, and Tien Ho of Whole Foods Market. Celebrated French Quarter mixologist and this year’s winner of the James Beard Award for Outstanding Bar Program Chris Hannah of Arnaud’s French 75 will bring New Orleans’ famed cocktail culture to Austin, serving up two signature drinks, the Amaryllis Sling and the Pableaux Martinez. Tullamore Dew Irish Whiskey, Beam Suntory, Campari, and Patron will also have NOLA-inspired cocktails and guests can sample the 2017 Official Drink of Austin, the Capital City Collins from Frank, featuring Old Highborn gin. And since you can’t have swine without the wine, dozens of wines will be available for sampling. Guests can vote on their favorite wine and pork dishes, with token sales going towards AFWA’s culinary grant program. Tickets are on sale now, but don’t hem and haw. The first 150 early birds will get a discounted price of $75. The price will then go up to $85, with 100 VIP tickets available at $135. A limited number of tickets will be available at the door, but be warned, this event usually sells out.